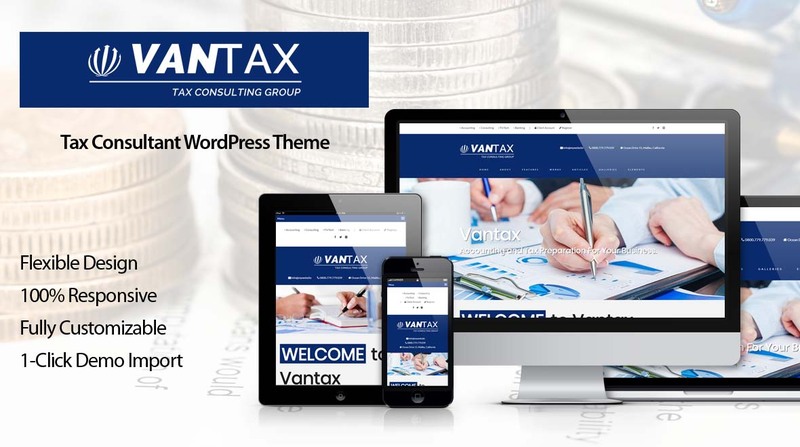 Vantax is a modern and clean tax consulting WordPress theme. Vantax is fully customizable with more than 600 themes options and 800+ web fonts. Vantax is easy to use and easy to install. No plugins needed to run this theme. The Vantax theme comes with more than 100 shortcodes. We offer free support and updates for all our themes. Please contact our support team if you need help.